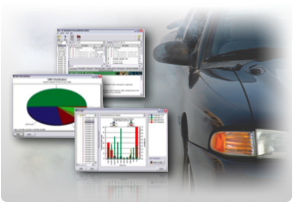 MOBILE6 accounts for the emission impacts of factors such as changes in vehicle emission standards, in vehicle populations and activity, and variation in local conditions such as temperature, humidity and fuel quality. MOBILE View takes the guess work out of setting up your MOBILE6 projects. Model Run Wizards guide you through all the steps necessary to create a project, and Scenario Wizards allow you to further individualize scenarios to more closely reflect specific conditions.